There is an abundance of choice in consumer and imported goods in Canada. However, even though this is known for enhancing the economy, the truth is that quality and safety checks aren’t as thorough everywhere. Products that are produced in North America need to abide by stringent quality checks. However, products from other countries would oftentimes fail to meet the necessary quality standards of Ontario. This usually leads to a stocking of dangerous and even toxic products on the shelves. All this spells trouble for the consumer because defective products can lead to a lot of complications. From faulty parts for your car, to toxic lead found in the paint of the toys, many such defects in products can easily be found in different segments. This could lead to overheating appliances and potential fire hazards, poisoning and more. With an abundance of accidents due to defective products that lead to debilitating injuries and fatalities, you need legal representation. That is where we step in. Our personal injury lawyers can provide you with the necessary legal protection that is highly advised. We are experienced in the field of personal injuries stemming from a variety of reasons. AG Injury Law Office lawyers are capable of helping you with your product liability claim. Our experience and expertise allows us to offer you comprehensive assistance. We get a lot of support through our administrative clerks and paralegal workers. We also have a 24/7 hotline, where you can expect an answer within a single business day in order to guarantee that no time is lost in the entire claim filing process. At AG Injury Law Office, we have experienced and specialized personal injury lawyers who understand every single aspect of bringing forth a product liability claim. We have the necessary resources as well as the expertise to draft a particularly strong case so that your claim doesn’t get denied by the insurance company. We don’t remain silent. You can schedule a consultation if you’ve been injured because of a defective or unsafe product. This is an absolutely free and no-strings attached session which is going to merit your case and lay out possible ways of action. 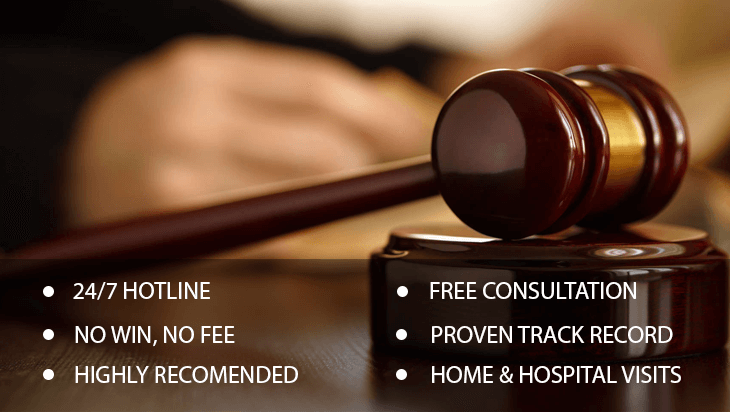 Contact us today and we are going to help you get the maximum amount of compensation that’s rightfully available.